An evening of shopping among friends in the comfort of your home. 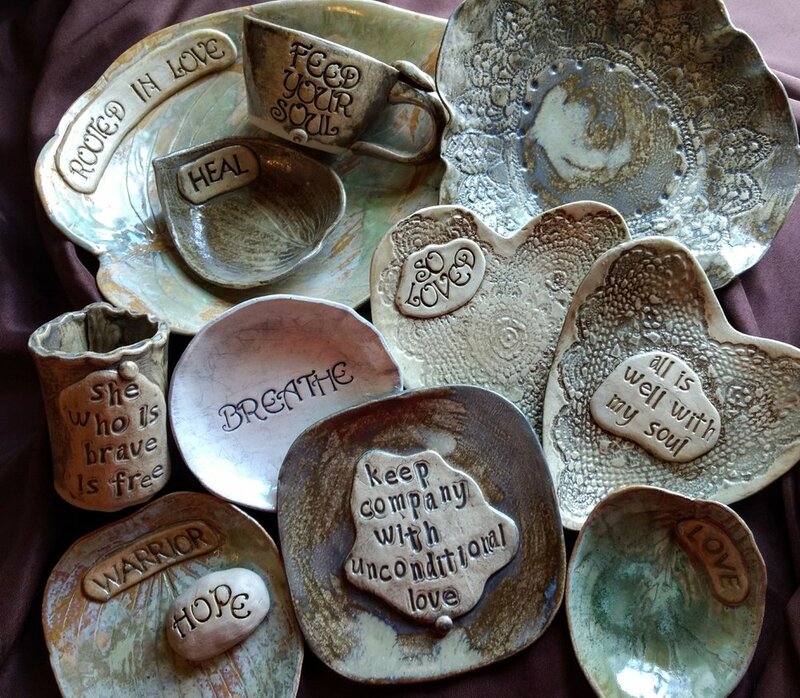 Choose from a large selection of Inspirational pottery that is loved by all! Unique pieces for the home, office, garden and gifts. Ill bring Wolf Tracks Pottery to your home for the day or evening. Your guests come and shop for themselves or for gifts. As the host, you'll receive 50.00 of free merchandise of your choice, plus the more your guests buy, the more free Wolf Tracks Pottery merchandise you receive! For every 100.00 of pottery sold, you receive 10.00 of free pottery. For every party booked off of your party, you will receive 25.00 in free merchandise of your choice. Bring hordevores, snacks, cocktails, coffee, etc to make the evening more enjoyable!
. Call today for more information about hosting a Wolf Tracks Pottery Party in your home - 815-529-1964.